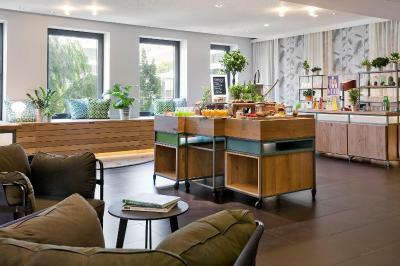 Lock in a great price for Courtyard by Marriott Vienna Prater/Messe – rated 8.6 by recent guests! Close to the bus station to airport, close to the underground station. Excellent staff, friendly and very accommodating. 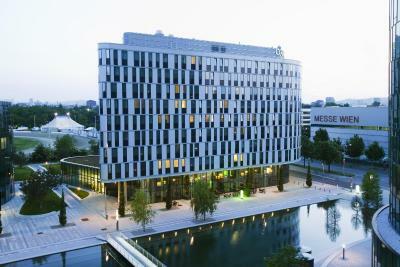 Great location - the hotel located in few minutes from metro station Krieau. 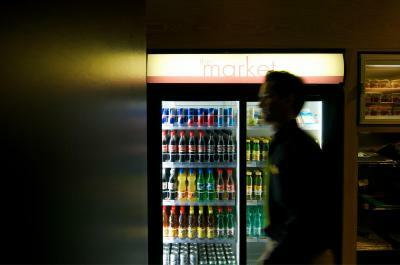 Friendly staff, new facilities, comfortable beds. 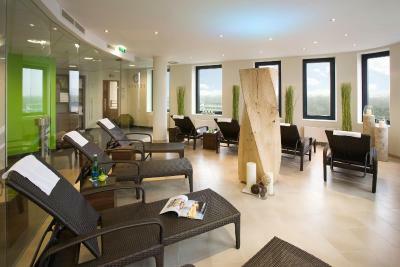 I would recommend this hotel in Vienna for business and leisure stay. 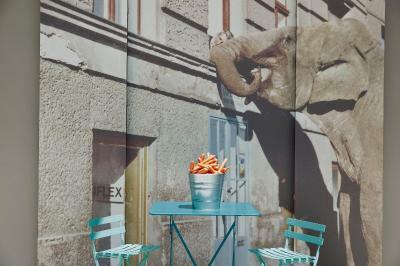 Comfortable, clean hotel, near to Krieau metro station and famous Prater. The staff were all very friendly and helpful. Very nice neighborhood (+ pleasant view from the room), close to Prater Park and 2 minutes away from subway station. 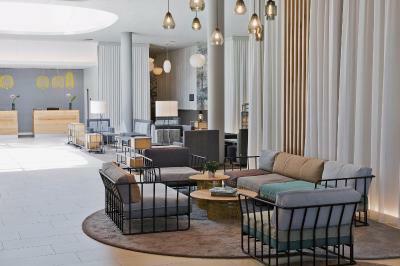 New hotel with a fresh design of the ground floor. Nice and clean room, good size. Kettle and complimentary tea/instant coffee. Iron and ironing table available in the room. Enjoy the location of the hotel. Very close to the tram station. Excellent staff. Very attentive and friendly. Rooms are well equipped and met the best expectations. ! The hotel looks nice from outside. The room is good size. 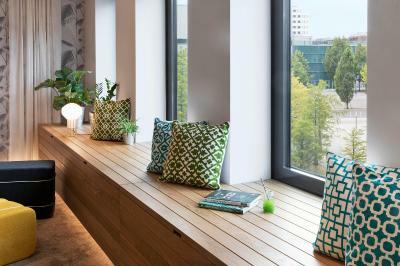 Courtyard by Marriott Vienna Prater/Messe This rating is a reflection of how the property compares to the industry standard when it comes to price, facilities and services available. It's based on a self-evaluation by the property. Use this rating to help choose your stay! Featuring free WiFi, Courtyard by Marriott Vienna Prater/Messe is located right next to the Reed Messe Wien, Vienna’s exhibition and convention center, and only a 1-minute walk from the Krieau Underground Station with access to the city center within 10 minutes. The large spa and fitness center on the 8th floor offers modern equipment and a sauna with panoramic views of the entire city. The spacious, air-conditioned rooms include a flat-screen satellite TV, a tea/coffee maker, a small refrigerator, and a bathroom. 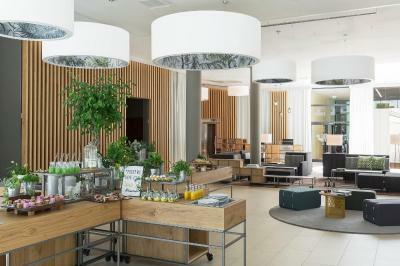 Courtyard by Marriott Vienna Prater/Messe features a modern interior design and a spacious, trendy lobby with a lounge bar and a small shop. 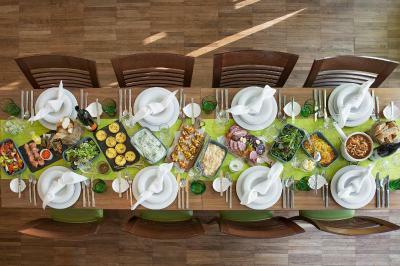 The restaurant serves Viennese and international cuisine, and a rich American buffet breakfast is available every morning. In summer, guests can dine on the terrace. The Prater Amusement Park is a 10-minute walk away, and the Giant Ferris Wheels can be reached on foot in 20 minutes. 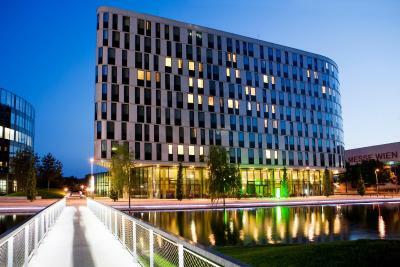 The Ernst Happel Stadium and the Stadion Center (shopping center) are a 15-minute walk away. 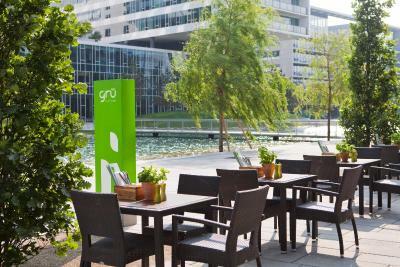 The Green Prater, a large recreation area, is only a 5-minute walk from the hotel. 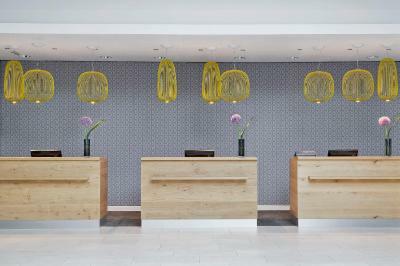 When would you like to stay at Courtyard by Marriott Vienna Prater/Messe? 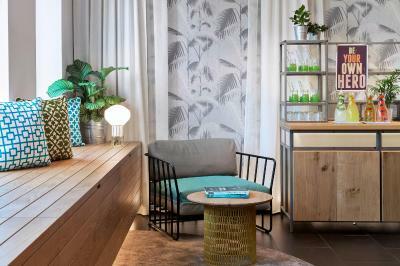 This modern, air-conditioned room features a large work area and comes with a flat-screen TV, a mini-refrigerator, coffee and tea making facilities, and free WiFi. 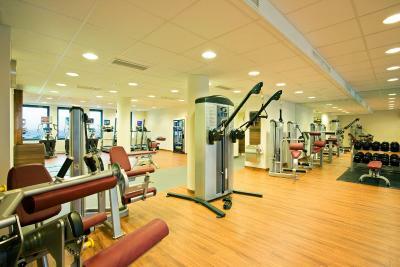 Free access to the fitness center is also included. These units feature a large work area, air conditioning, a flat-screen TV, a mini-refrigerator and coffee/tea making facilities. Free access to the fitness center is included. This spacious, non-smoking corner-room suite offers fantastic views of the Krieau Horse Racing Track and a complimentary bottle of water. 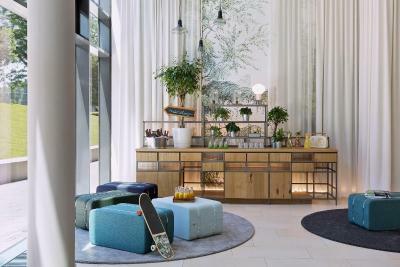 It also features a spacious living and dining area with a sofa and a table, a separate sleeping room, a large work area, air conditioning, a flat-screen TV, a mini-refrigerator and coffee/tea-making facilities. 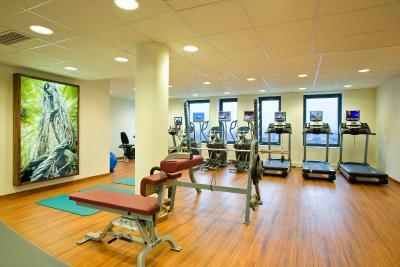 Free access to fitness center is included. 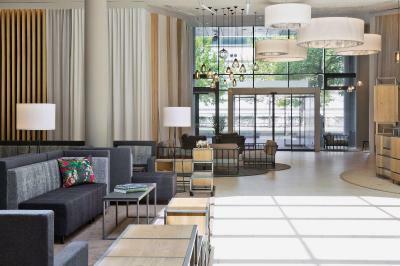 Adjacent to the Prater and the Reed Exhibition Centre, the Courtyard Vienna Messe hotel features business-savvy guest rooms, fine dining & a 24-hour Market. 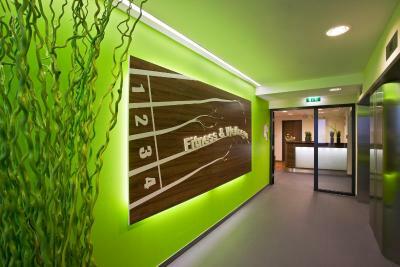 High-speed Internet access, 800m² of event space, fitness & wellness centre on-site. 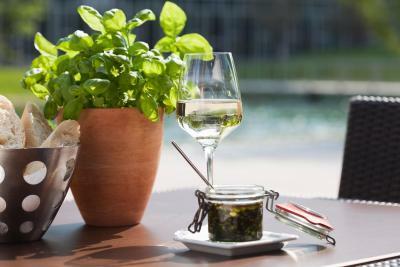 House Rules Courtyard by Marriott Vienna Prater/Messe takes special requests – add in the next step! 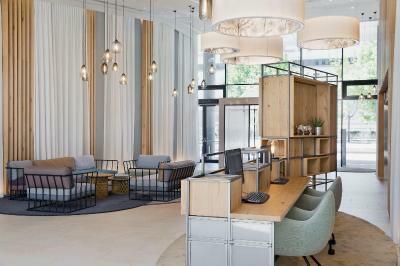 Courtyard by Marriott Vienna Prater&#47;Messe accepts these cards and reserves the right to temporarily hold an amount prior to arrival. 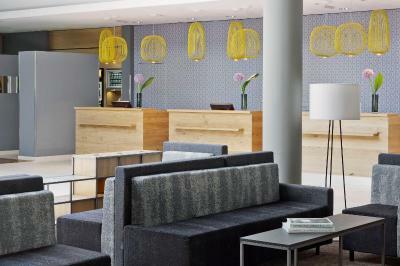 Courtyard by Marriott Vienna Prater/Messe accepts these cards and reserves the right to temporarily hold an amount prior to arrival. Please note that children below the age of 13 years cannot be accommodated without an accompanying adult. Children between 13 and 15 years of age are required to provide a document of parental authorization upon arrival. Please contact the property for the relevant authorization form. The room was clean and the staff were very accomadating and helpful. 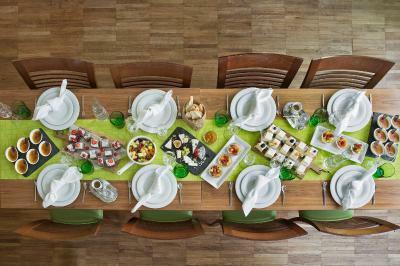 Breakfast was very nice a wide range of food fruit(, waffles , meats cheese breads and cooked breakfast. Pillows at Marriott are great as usual. 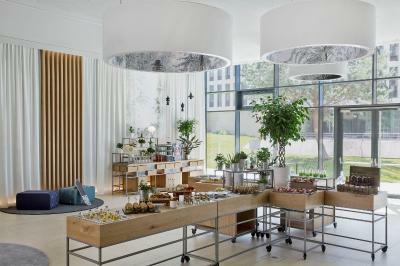 Standard continental breakfast is simple, but very-well made. The location has excellent value for a price, you can walk to the Old Town passing the Prater park or use a cab that is surprisingly cheap in Vienna. No room service and average restaurant. 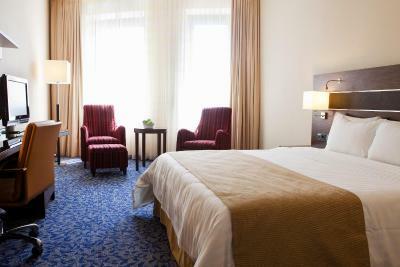 Kind staff, good location, clean and nice room. Metro station is 2 minutes away . It has clean rooms, friendly staff, great breakfast. we would go again!!! The hotel and the offers have been very good. Room was very warm couldnt regulate it Also put more coffee in room love my coffee in the morning.. 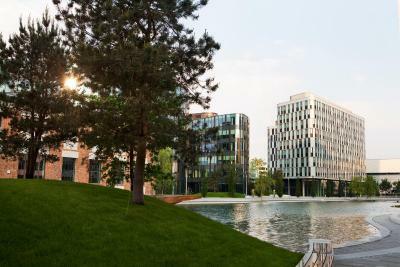 Location near Prater park, metro station. 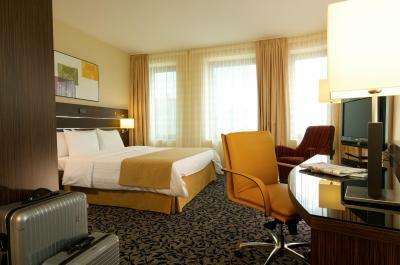 Comfortable rooms, modern furniture, king size bed. 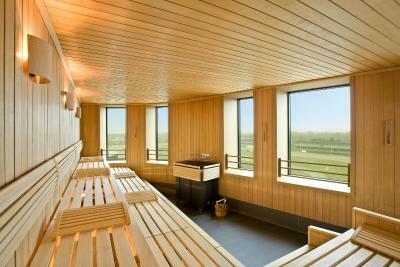 Panorama sauna with relax room in highest floor. Well equipped fitness. Cleaning. On day room was not cleaned. Nice location. 200 meters from subway. 15 minutes from city center. Personnel. Rooms. Either bad luck or very unprofessional preparation of room: -phone was dirty and evidently broken for some time -sink drain was faulty -tv was not working -kettle wasnt working -noisy and faulty heating Staff was quick to adress issues(broken kettle and tv),helpful and polite however the other issues were not possible to fix asap and we were offered to switch rooms which was far from ideal(only staying for a night,it was late and we just got back from the city) as we were tired and didnt feel like repacking our luggage. What I find inexcusable is the broken phone-it was obviously broken for some time. Forget the fact that I couldnt call the front desk about said issues, but What if there was an emergency? We will most likely not be staying again and not recommend the hotel. Very nice and professional, helpful staff. Very close to subway station directly connected with major central points. Comfy room.